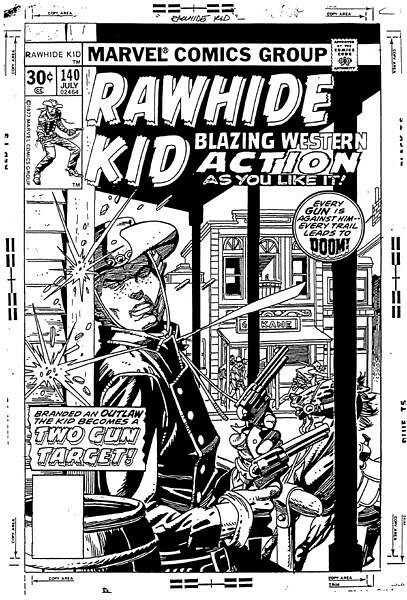 I just saw a scan for this cover to Rawhide Kid #140, circa 1977, a really great Western style shootout with the Kid scrambling for cover at the corner store. Great design and execution on this cover by Kane! Wish he drew the interior story, but alas, it was a reprint. Jeremy over at ComicArtFans owns the original art to this page. Stunning in black and white, what a lucky geek! Take a look at a few other Kane western covers: Duck! 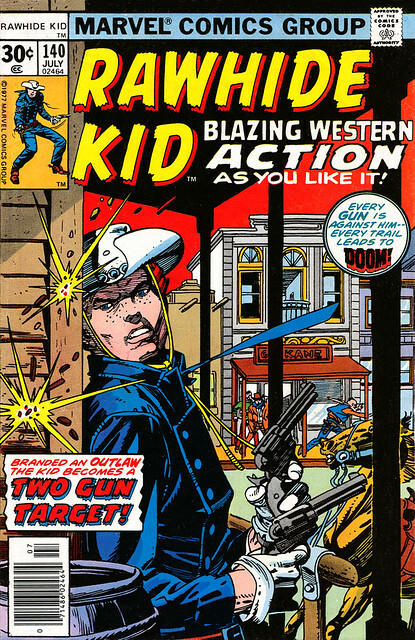 Gil Kane's Cover for Kid Colt 200! as well as Marvels of Gil Kane: Mighty Marvel Western covers. Nuff Said!